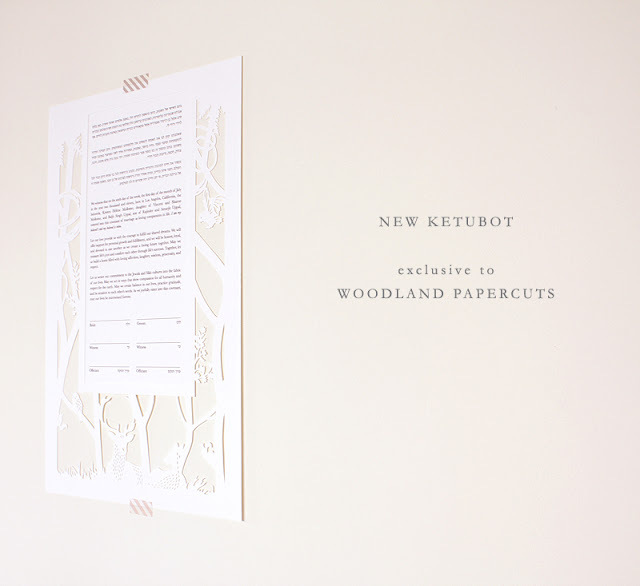 I've been happily selling my heirloom papercut ketubot to clients in the US & Canada through the Urban Collective on etsy. 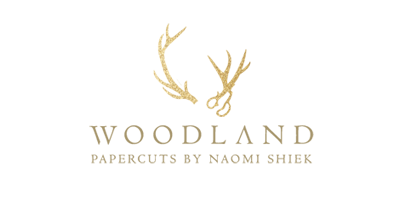 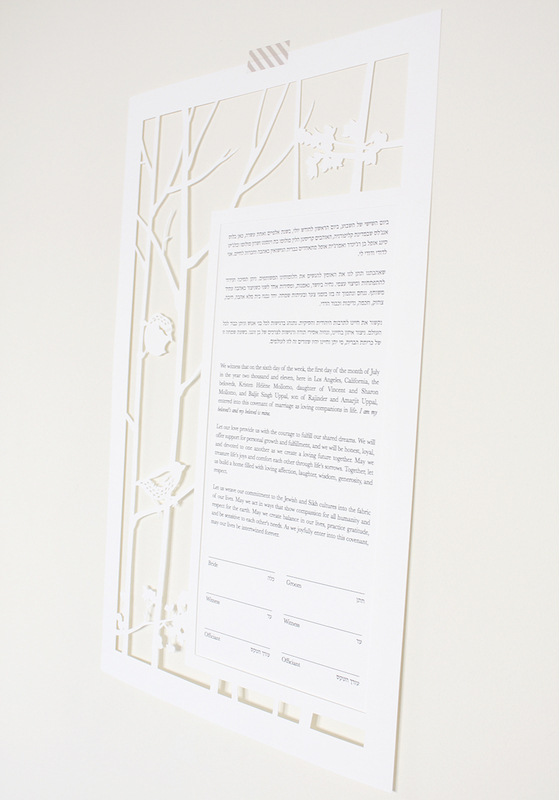 However, I thought it won't go a miss to offer clients from Europe, the Middle-East, Asia and Australia the option to purchase a handmade papercut ketubah as well. There are three available designs at the moment: The Birds (a popular design available for US clients through UC), the Tree of Life and the Forest designs (exclusive to the Woodland Papercuts shop). 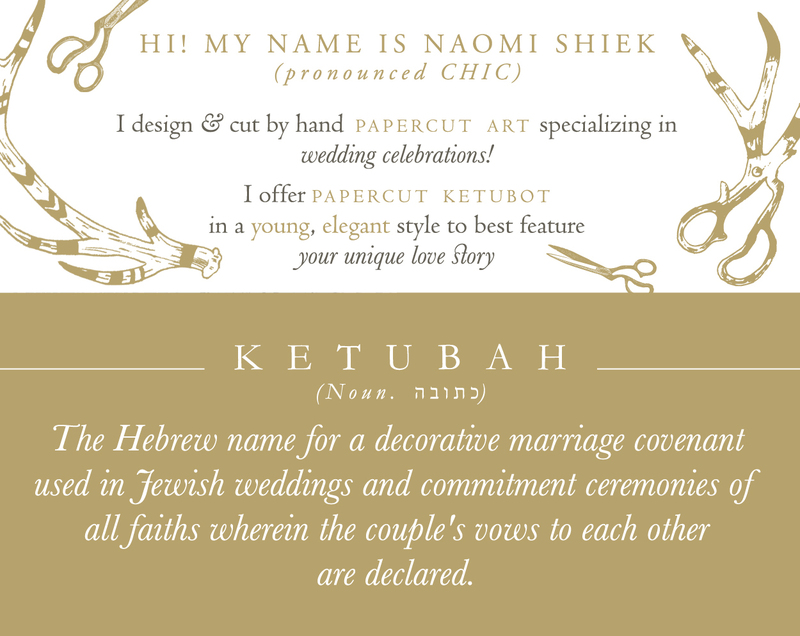 There are 3 text options available: Orthodox, Secular, and Custom (or as I like to call it, Bring Your Own). 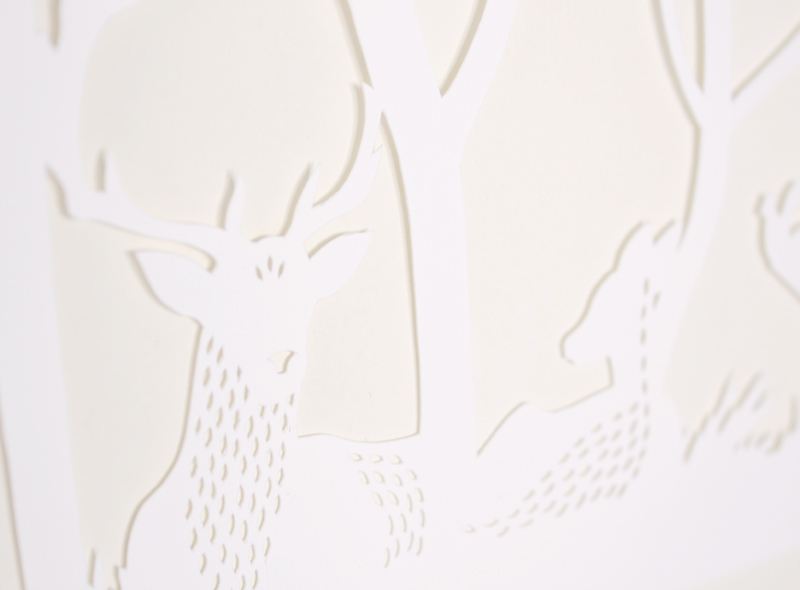 The text is printed onto the same eggshell paper the papercut is made from using a high-end inkjet printer and assembled by me. 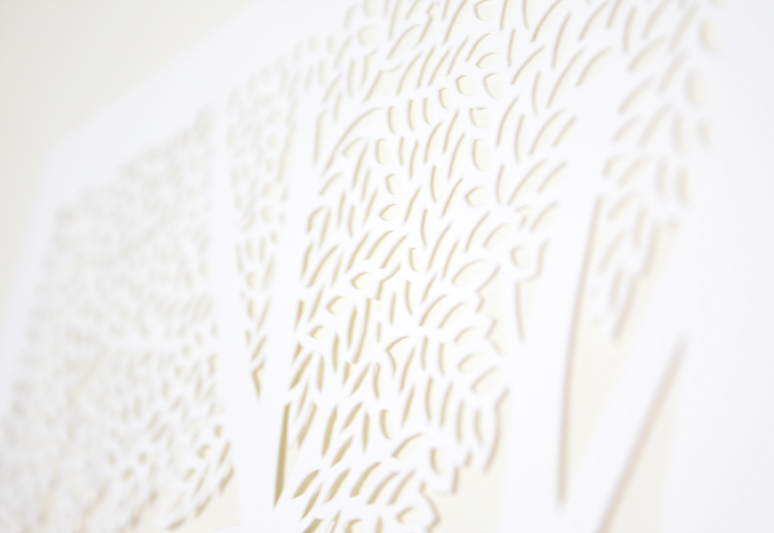 They're a bit different than the ones sold through UC since there's no big color underlayer. Rather the personalized text layer is adhered to the papercut in its proper location and the illustration is free-standing. 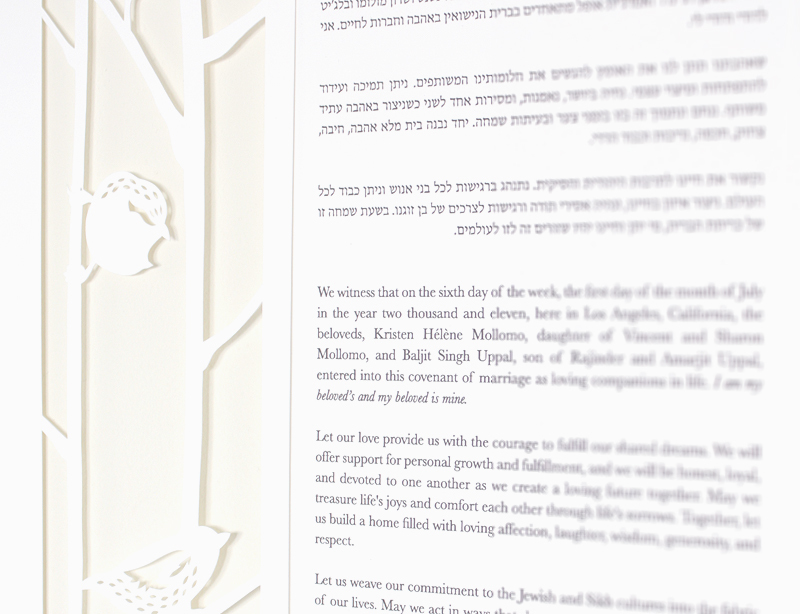 The pure white color of the resulting ketubah is beautiful and soft. Other than that, the ketubahs retain the highest attention to detail and personal handmade touch that couples who bought our papercut ketubahs will attest to.